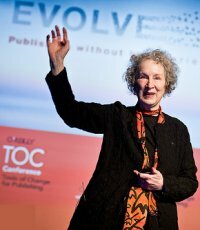 To me, it all started with a keynote speech given by renowned Canadian author Margaret Atwood back in February 2011 at O’Reilly’s Tools of Change publishing conference. Titled “The Publishing Pie”, this speech considerably enhanced my view about publishing and how authors as a valuable social asset should be respected and cherished. 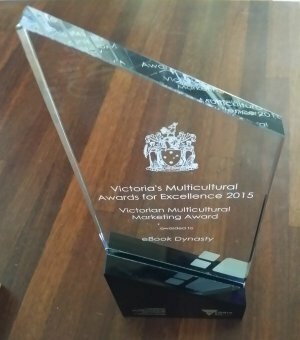 It gave me confidence and shaped my career both as an author and as a publisher. In the past two years or so, particularly when communicating with a wide range of English and Chinese authors, I often find myself quoting Atwood’s speech. The metal image is very clear – a dead moose that feeds over three dozen other species, in parallel with a (dead?) Shakespeare-looking author that sustains “many other life forms”. Atwood’s childish yet beautiful drawing somehow grabs me. It inspires me to be that moose, that author who makes life worthwhile for the others. But if I am not good enough to achieve that goal (not yet, anyway), then let me be the one who looks after the authors. Whether you are an author or a publisher, perhaps Atwood’s speech can give you some guidance on where you should go. (That is, if you have not yet heard of this speech.) Look after yourself if you are an author, and look after your authors if you are a publisher. Without authors, our world literally cannot go on.